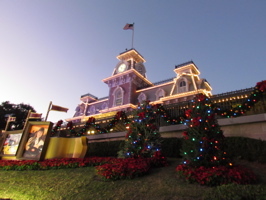 The Magic Kingdom train station is fully decked out for Christmas (below, left). 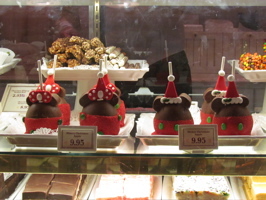 Mickey and Minnie Christmas themed candy apples are for sale in the Confectionery shop (below, right). 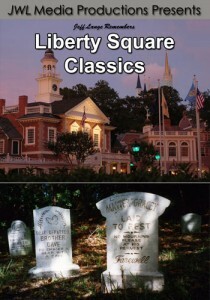 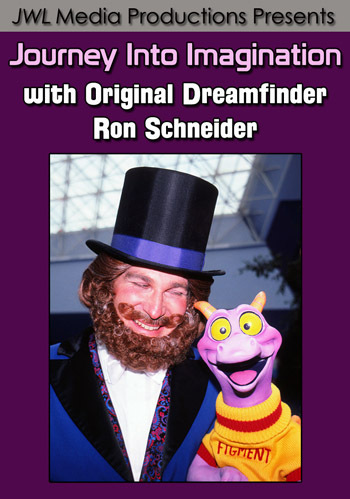 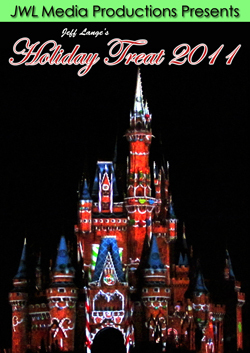 Other holiday goodies can be found there as well! 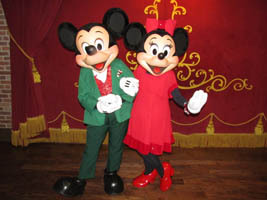 Mickey and Minnie pose in their holiday oufits (below, left). 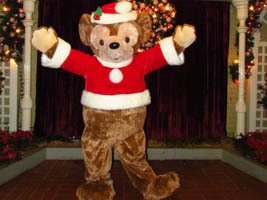 Duffy the Disney Bear is all dressed up for Christmas in his Santa hat and winter jacket (below, right). 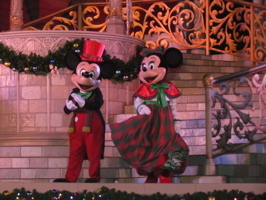 Video #1 – Mickey Minnie & Duffy in Holiday Outfits at Mickey’s Very Merry Christmas Party 2011 Magic Kingdom – Mickey, Minnie and Duffy the Disney Bear greet guests at Mickey’s Very Merry Christmas Party in their Holiday outfits! 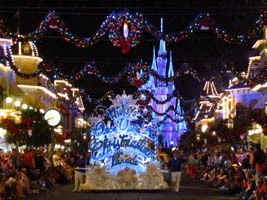 Mickey’s Once Upon A Christmastime Parade (below, left) is similar to last years, but with a few changes. 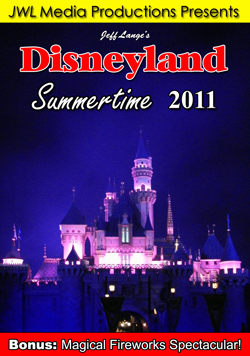 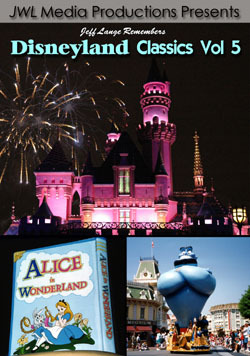 The first one you’ll find is that Duffy the Disney Bear is now sitting on the Mickey and Minnie float (below, right). 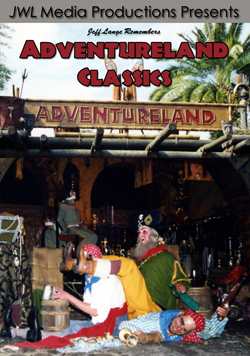 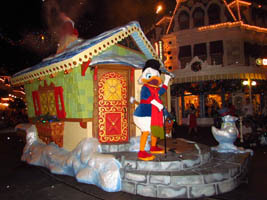 Scrooge McDuck (below, left) waves to guests from his float. 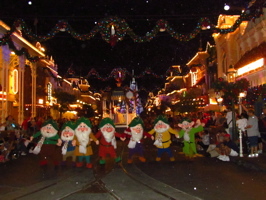 The Seven Dwarfs (below, right) walk arm-in-arm down Main Street USA (below, right). 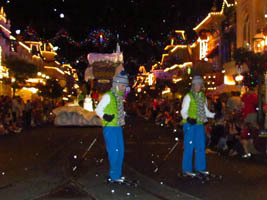 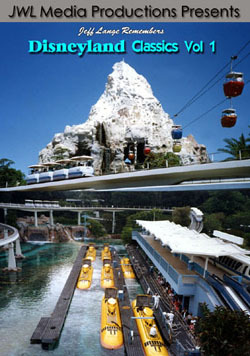 Another change is the addition of skiers in front of the Chip and Dale float (below, left). 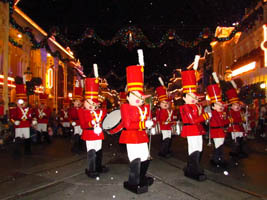 Some of our favorites are still in Mickey’s Once Upon A Christmastime Parade, including the Toy Soldiers (below, right). 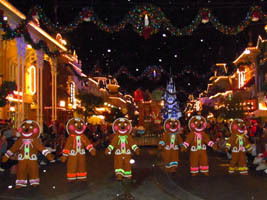 Gingerbread men – another favorite! 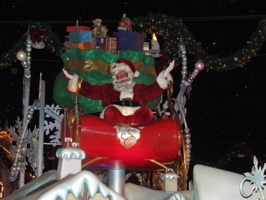 (below, left) Santa waves his arms atop the last float (below, right). 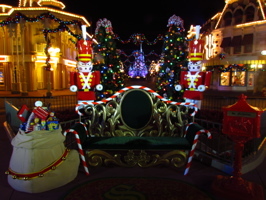 Santa is also greeting guests in Town Square! 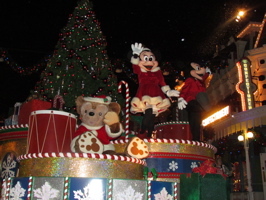 Video #2 – Mickey’s Once Upon A Christmastime Parade 2011 Highlights, Magic Kingdom 11/8/11 – Highlights from the 2011 version of Mickey’s Once Upon a Christmastime Parade from opening night of Mickey’s Very Merry Christmas Party. 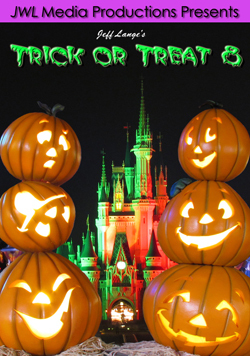 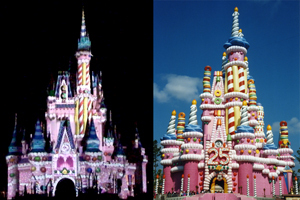 The castle also turns to gingerbread in this quick segment (below, left). 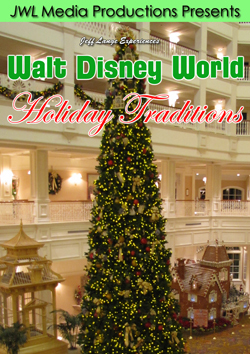 We always enjoy Holiday Wishes (below, right), which now starts just 5 minutes after The Magic, The Memories and You during Mickey’s Very Merry Christmas party. 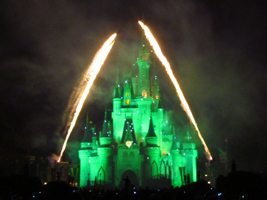 Cinderella Castle turns into a giant Christmas tree during the show (below, left). 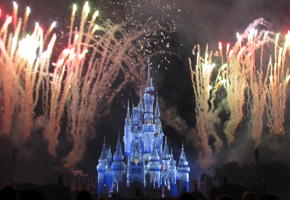 And then turns back to ice as fireworks shoot off around it (below, right). 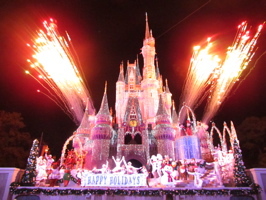 Video #3 – Holiday Edition Segment of “The Magic, The Memories and You” 11/9/11 Magic Kingdom – The Holiday Edition Segment of “The Magic The Memories and You” from Mickey’s Very Merry Christmas Party! 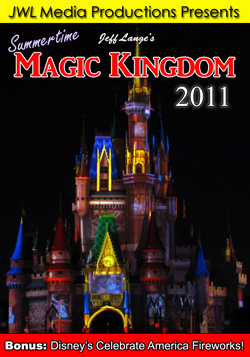 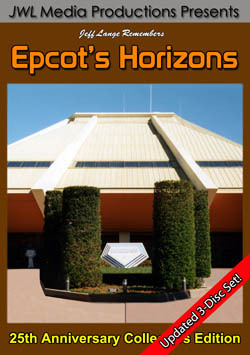 Recorded at the second party 11/9/11. 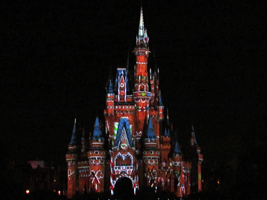 This is just the Holiday segment added to the normal light show for the Christmas season. 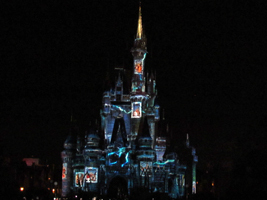 Mickey and Minnie watch the proceedings during the Celebrate the Season show at Cinderella Castle (below, left). 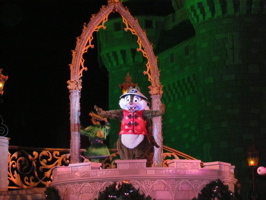 Dale dances (below, right), along with Chip and another performer. 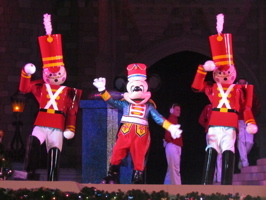 Nutcracker Mickey (below, left) presents a gift of a ballerina to Minnie. 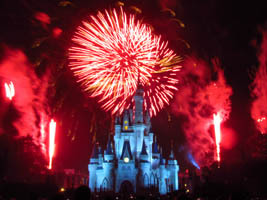 Fireworks shoot off as the show ends (below, right). 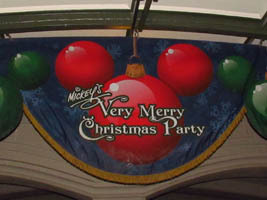 Phineas and Ferb make their official Mickey’s Very Merry Christmas Party debut (below, left). 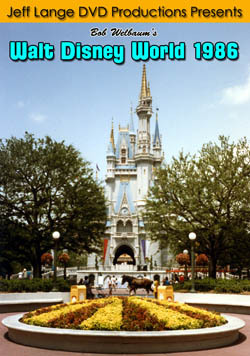 We did see them a couple of years ago during a brief taping during a Party as well. 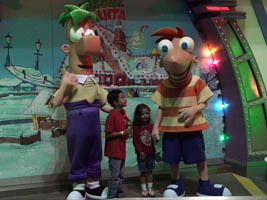 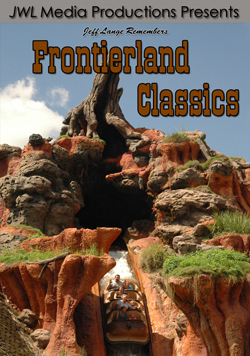 Phineas and Ferb greet a young guest in Tomorrowland (below, right). 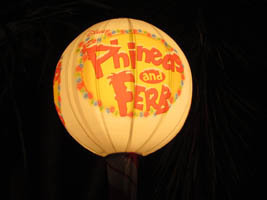 Video #4 – Phineas and Ferb Character Greeting, Mickey’s Very Merry Christmas Party 2011 Magic Kingdom – Phineas and Ferb greet guests at Mickey’s Very Merry Christmas Party this year in Tomorrowland! 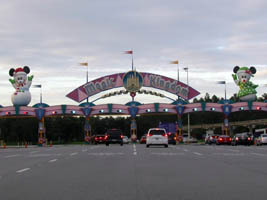 Stitch finds the true meaning of Christmas as he turns himself into Santa Claus and dances with Haley Comet in the popular show A Totally Tomorrowland Christmas (below, left and right). 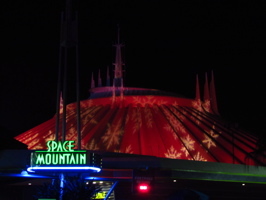 Digital projections are all over the park, including this Mickey’s Very Merry Christmas Party display (below, left), and snowflakes on Space Mountain (below, right). 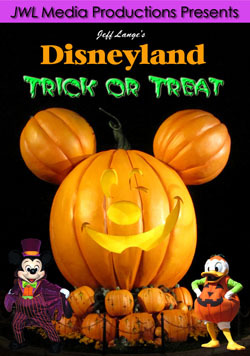 During Halloween, Disney sold Donald Duck ceramic cups that held ice cream. 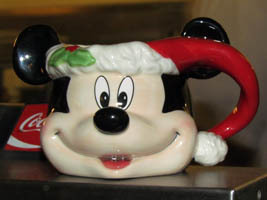 Now, they are selling Mickey Mouse as santa cups (below, left), you can find them around the Magic Kingdom where ice cream is sold. 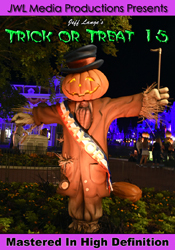 We had to wait until nearly 1 A.M. to get this photo looking down Main Street USA (below, right). 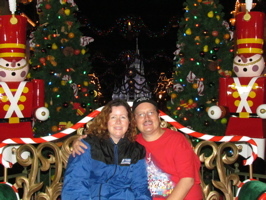 Denise and I take a break at the end of the second Party night (below, left). 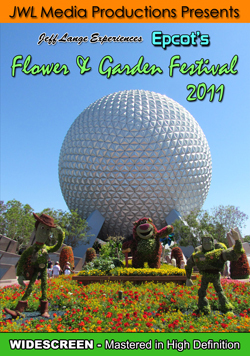 We were both exhausted, but enjoyed our evenings taking photos and video. 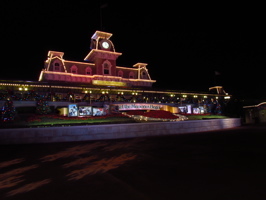 Snowflakes are projected outside of the Main Street Train Station (below, right). 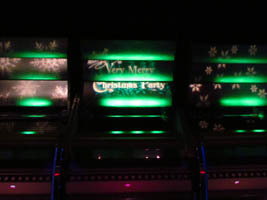 This years party really put us in the mood for the holidays and we look forward to taking in at least one more before Christmas!